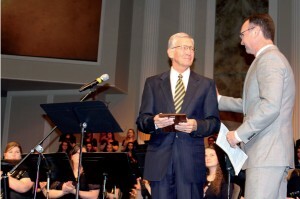 Former Baptist General Convention of Oklahoma (BGCO) Associate Executive Director Bill Green was presented with the W. Hines Sims Award at the 59th Annual Session of the Baptist Church Music Conference, April 21. Green’s accomplishments include being named one of the Outstanding Young Men in America, a recipient of Oklahoma Baptist University’s 1985 Profile in Excellence Award, president of the BCMC from 1995-97, and recipient of the BCMC’s Lifetime Ministry Achievement Award in 2010. Green expressed thanks to many who significantly impacted his life and ministry, including his mentors, his mother, wife (Linda) and family, many friends and the Lord. 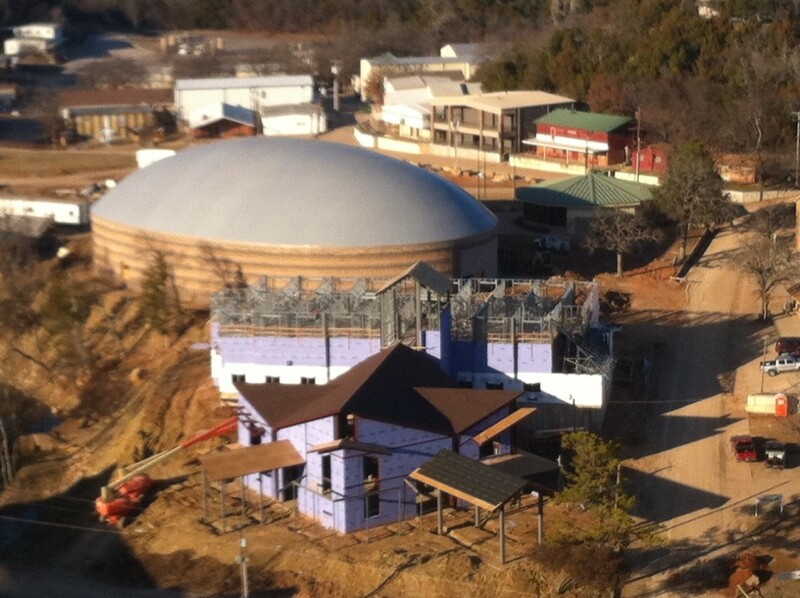 “Little did I know when God called me as a young person in Elk City, where He would lead me. Wherever He leads I’ll go,” he said. The conference, held at Oklahoma City, Quail Springs, featured a theme of “In Christ Alone,” and included a variety of vocal and instrumental performances as well as breakout sessions on a range of topics. 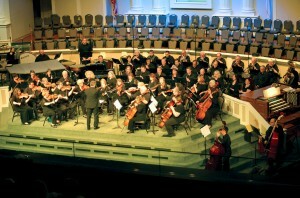 It was moderated by BCMC President Jeff Elkins, minister of music at Tulsa, First. Included on the program during the three-day meeting were BGCO groups the Singing ChurchWomen of Oklahoma, Oklahoma Baptist Symphony, and the Oklahoma Baptist Children’s Chorus, and from Oklahoma Baptist University (OBU), the OBU Handbell Choir, University Chorale, Bison Glee Club, Bisonette Glee Club, Voce Vera acapella ensemble and the Symphonic Winds.